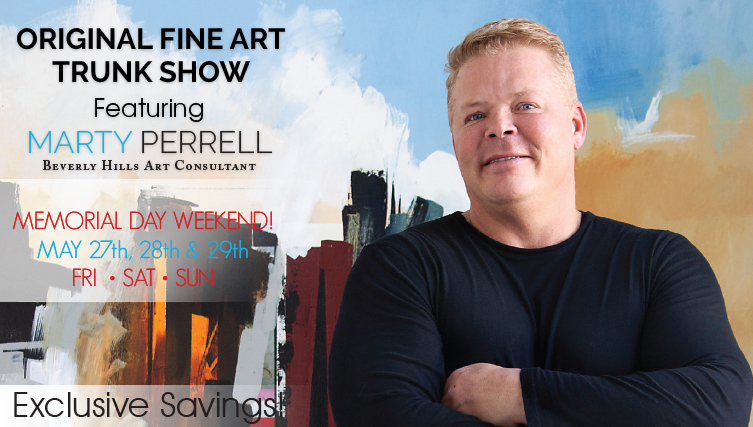 Join us this Memorial Day weekend at Noël Home for our Original Fine Art Trunk Show featuring Marty Perrell, Beverly Hills Art Consultant. Marty’s clientele consists of celebrities, collectors, five-star hotels, and highly recognized architectural structures to name a few. For three days only, enjoy exclusive savings on all new and original fine art throughout the Noël Home showroom. During this time, Marty will be available by appointment only for in-home art consultations. Reserve your time now by calling 713.874.5200.